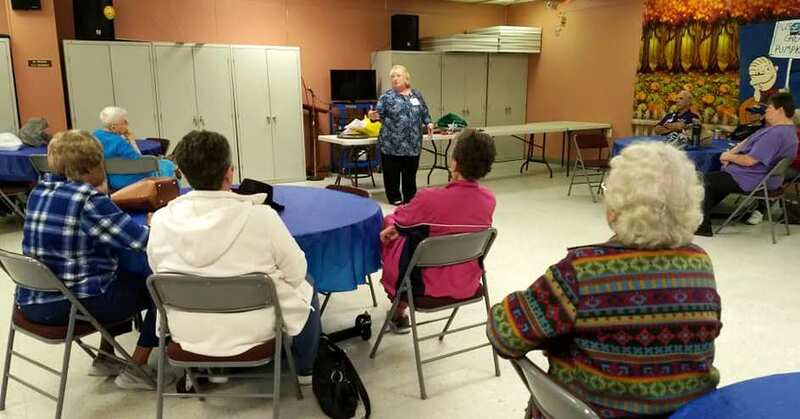 According to Karon Weatherman, a few local seniors took advantage of the Mature Driver Program Class that was given at the Senior Citizens Center on Thursday, October 24th. The classes are Traffic Safety Educational Programs for the Adult Driver, 55 and older. Ravonne McCray with Baylor Scott and White was the instructor for the informative program, which is a collaboration with the Texas Department of Transportation. Here’s tips and some of the information discussed. 4) Plan your route before you drive. your medications that could affect your driving. 11) Schedule a CarFit and Roadwise Review. 12) Visit website: http://nihseniorhealth.gov/older…/tipsforsafedriving/01.htmlfor more safe driving tips. make driving and getting in and out of the car easier. She also gave several tips for safe driving and how to check your tires, mirrors etc for safety. In the near future, the program will be offering a day to come to Sulphur Springs and check Seniors’ cars for Safety. These checks will be FREE for all seniors age 55+. Karon will announce a date and sign up sheet with time slots in the near future. Roadwiserx.com – is a FREE website. It helps you learn what prescriptions and over the counter drugs affect driving abilities. You just go and plug in your drugs and get a report. and safety defects for vehicles.